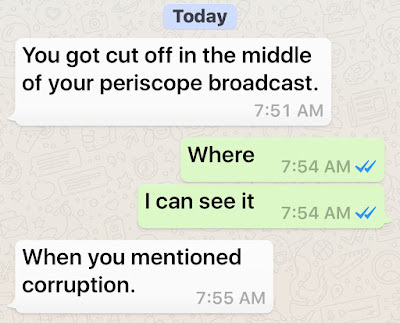 This morning I did a short, 5-minute broadcast on Periscope addressing the issue of corruption. My father texted me afterward to inform me that the broadcast had been cut off in midstream. The denial of a FOIA request to see the records on the Hillary Clinton investigation.The dismissal of the DNC fraud lawsuit. In my broadcast I urged people to fight back against corruption by getting an education, preferably an advanced education. An advanced education allows you to not only learn specific subject matter, but also — and perhaps more importantly — to think critically and communicate clearly. Author’s note: This is a work of fiction. “Why not?” I asked, knowing the answer in advance. And then, suddenly, I swiveled. His face had turned very, very red. I should have turned back and retreated. But something in me said: No. BLUF: Nobody's perfect, but the praise Secretary Shulkin is receiving for his work is instructive. This is an attempt to deconstruct an article that appeared in the news and extract some key lessons. It is time to shift the definition of "Jewish community." Many if not most are single, divorced and/or widowed. Serve their needs! The institutions have not evolved to match the reality. Example 1--Community Shabbos dinner should be standard. A woman in town said to me, "I am single, my Friday night meal is frozen yogurt and matza ball soup from a can." Why does she have to wait for an invitation...this is what Shul is for. Example 2--Single parents. Nobody can afford tuition, solo mom or dad especially. Need homeschooling solutions that keep kids in the frum culture without sacrificing secular quality education. This is a must! Example 3--Singles. Being single is not a disease. People who are solo are simply living. They want to meet people without being treated with pressure. Like a piece of beef. 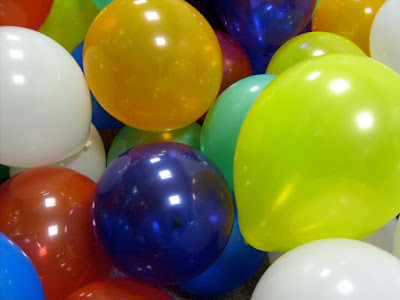 Make community events for EVERYONE. Build a house for poor people. Make food for the poor. Oh wait did I say poverty??? This is a short clip of my Zayde, a"h, Rabbi Shmuel Stroli, talking about an experience he had in Romania during the Holocaust. A fierce patriot, he served in the Romanian military, but was jailed for being a Jew. And had to apologize for his very existence. By Dannielle (Dossy) Blumenthal, Ph.D. All opinions are the author's own. Let's face it, work is work. No matter who you are, getting things done will cost you time, hard work and persistence. "Most of life consists of rolling up your sleeves." I kept in touch with her and many years later learned that she endured and overcame not one brain tumor but two. That former boss is my mentor not because she is brilliant, which she is, but because she taught me to have a good attitude. Unfortunately in the government--just like outside it--some people will always look at life negatively. To them, it's more realistic to be angry, depressed, and hopeless. "Why kid yourself?" they say. "If you don't expect anything, you'll never be disappointed." Over the course of my career I have worked with people who just did not value me. No matter how hard I tried to make them do so, it just did not work. My beautiful country the United States of America. A Nation sowed with the blood of those who died, the tears of those who lost their loved ones. I hear their screams of anguish in my heart. And as I watch the hate-fueled violence happening again in Boston today, my feelings turn into fury. For I know it is the corrupt among us who feed off this civil war, a war they create and manipulate. It is a war which has no logical reason and no logical end. They want good Americans to fight and die. To distract us from the money they've stolen from our bank accounts, mortgaging our future and compromising our National security. They hide behind smoke and mirrors -- nice words. But the truth is, they spend their lives hiding, in fancy suites on high floors and huge, gated mansions. They pretend to be on our side, but their actions show they are not. For good leaders promote peace, security and prosperity for the people. All the people. No exceptions. They are marketers, and they are way ahead of you. The question is, what's the game plan after they get what they want? After they convince you that we have the "craziest, most racist, most sexist, most out-of-control leader/dictator the world has ever seen." They're de-monetizing and labeling the independent media: "racists, Russia colluders, alt-right, White Nationalists, neo-Nazis, tinfoil hate fake news..."
Firing and doxing the citizens who dare to speak out, online or IRL. Anywhere. Tearing down our National monuments - not lawfully, not democratically, not by real consensus. No, they work in violent mobs, with black hoods and flags and baseball bats. 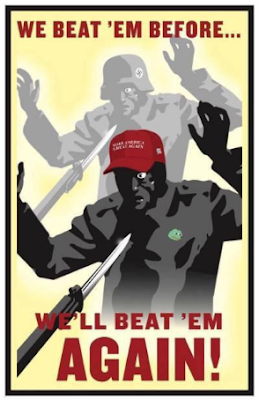 Who adapted this wartime propaganda poster such that a sword is pointed at the heart of our lawfully elected President? Was Donald J. Trump ever targeted for such personal attacks before this election? Look, I write this blog not as an expert on generations in the workplace but rather as a sociologist, supervisor, college instructor and mom — with nearly fifteen years of experience in government. First let me say that Millennials and Gen Z are different. I don’t mean to disrespect either by lumping the one in with the other. I’m also not ignoring the oversimplifications that inevitably come into play when you try to write a post like this. But I do think it’s important — for society in general, and for government institutions in particular — to share an observation about how these two generations handle rules. Millennials, born 1977–1994: They want clear and detailed instructions and they want to know exactly what success looks like. Generation Z, born 1995–2012: They have no patience for detailed rules and prefer the shortest path from Point A to Point B at all times. 1. I can't recognize you in the elevator, even if I know you, because I'm usually lost in my own world. 2. I can't remember what you tell me verbally. I need to write it down. 3. I can't tolerate a lot of noise, or crowds, or smells. Even good ones. 4. I can't remember names. Like if you tell me your name, you'll have to repeat it at least ten times. 5. I can't follow inflation, deflation, or currency conversion, and I never remember which mark is "greater than" or "less than" in an equation. 1. I can sit in a coffee shop for eight hours at a time. No problem! 2. I can read Tweets, retweet Tweets, and Tweet some more myself. For hours. 3. I can binge-watch any and all movies, television shows, and music videos produced between 1980-1988. Is Washington, DC A Safe Space To Govern? I can feel it in the tepid, sticky air. I sense it in the formerly robust discussions that have long since gone silent. I can smell it when I watch White House press briefings on YouTube. And it’s obviously all over Twitter, Facebook, and elsewhere online. We have entered a new civil war. The “resistance” is not just a movement in name. There are people, very extreme, and very opposed to President Trump. Their aim is not to question him. They want to block him at every turn. They want him out of office. They will use false accusations of collusion with Russia. They will oppose legislation they would normally support. They will weaponize the media to create a firestorm where none really exists. A Nation watches as the President we elected, lawfully, seems helpless in the face of open sedition. I watch with fear, trying to keep my faith, as the democracy I love is at risk. “Follow justice and justice alone, so that you may live and possess the land the Lord your God is giving you.” — Deuteronomy 16:20 (New International Version of the Bible translation) It seems sort of sad that one has to begin an article about justice by quoting from the Bible about the commandment to pursue justice. Nevertheless we seem to have reached a fairly low point in American history when even an objective statement of the facts has become a partisan exercise. I have been following the Seth Rich case for a few months now. I’ll admit I have a bias here, in that I am outraged about the flagrant lack of justice (and that is putting it very mildly) in matters related to the Clintons and their colleagues at the Democratic National Committee. Who Will Be There For Sophia? I am proud to call Sophia — Dr. Sophia Marjanovic — my friend. Sophia holds a Ph.D. in microbiology and immunology. She is also a protester who educates the public about the dangers posed by the Dakota Access Pipeline. In a recent interview, she explained why: “My tribe had an oil boom in the 1980s. Ever since I can remember, water has come out of the faucet red, yellow, orange and smelling of petroleum and having oil droplets on top of it. The number-one killer of our women is cancer." You may have seen my friend in the news. The Situation A long time ago, in a company somewhere far away, the CIO decided to buy a certain kind of software. The program would replace a legacy system. One that was reliable, if clunky and sometimes slow. A small but powerful faction hated the idea altogether. And every time the subject came up, they would shout the concept down. "Who needs this? We're used to what we have!!!" But in meetings too low-level for the executives to attend, other voices could be heard. Complaining loudly and often. "Everybody else uses this already! What the heck is taking us so freaking long???" The Choice The CIO decided to implement the software, but wasn't sure how to introduce it. So the head of communications provided her with two choices. Sharing a theoretical "best practice" organizational chart I developed & shared with the Federal Communicators Network. What's new? Open data is its own "line of business" Operations ensures accountability Communications establishes a dedicated in-house creative shop, saving money Stakeholder relations is its own category and adds employees as a stakeholder Customer service adds an ombudsman function and reconceives the executive secretariat as part of this grouping. An overall change is to enhance the function to maximize effectiveness in managing the flow of information. By Dannielle (Dossy) Blumenthal, Ph.D. All opinions are the author's own. This blog is hereby released into the public domain. The world we live in is soaked in brutality. Paradoxically it is this very evil that prompts people to seek out "shortcuts," ways they can get to power quickly and profitably. One of these is occult practices.